NLURA has a staff experienced in successfully guiding our clients through compliance with federal and state cultural resource laws and regulations, including Section 106 and 110 of the National Historic Preservation Act (NHPA) and the National Environmental Policy Act (NEPA). NLURA has expertly managed over 500 cultural resource projects across Alaska since 1991. We manage projects ranging from desktop reviews through complex site mitigation and also facilitate consultation between our clients, regulatory agencies, and other consulting parties. 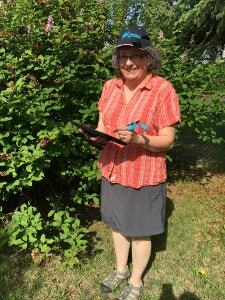 Mary Ann has twenty years of archaeological, historical research, and GIS experience in Alaska. 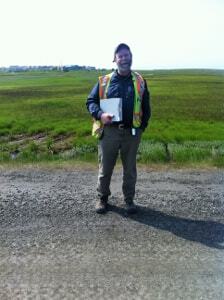 Mary Ann coordinates and conducts GIS components of all NLURA projects. She has completed GIS analysis and cartographic support for Section 106, Section 110, NEPA, and FERC permitting. Her archaeological background helps to inform her geospatial analysis, including the development of predictive models. She is also well-versed in custom geodatabase design, FGDC metadata, quality assurance, and client deliverables. Her cartographic skill set includes production of map books, map template design, and historic imagery sourcing. 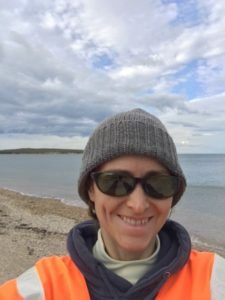 She is also experienced at GPS field data capture, including mobile platforms (tablet, smart phone, or trimble), mobile software (Arc Collector, ArcPad, TerraSync), and external receivers. Her knowledge of ArcGIS, ArcPro and ArcGIS Online facilitates field to office data synchronization, quality control, and provides support for multiple projects and field crews. In addition to GIS, Mary Ann’s research specialties include historical archaeology of mining and frontier settlements, late prehistory, culture contact and change, zooarchaeology, and public outreach. She is a member of the Alaska Anthropological Association. Morgan has more than twenty years of experience in historical research and archaeology, with fifteen years of Alaskan experience. Morgan has assisted clients with Section 106 and NEPA compliance for permitting and has worked successfully with clients in many fields in Alaska, including transportation, energy exploration and development, communication, mining, and the settlement of legal access claims. Recently, he led a community outreach project centering on research and oral history of the Japanese Internment Camp at Fort Richardson in Anchorage. Prior to his arrival in Alaska, Morgan worked as a field archaeologist and field supervisor for the survey and excavation of settlements, mining and military sites in western states with the State of California Department of Parks and Recreation and the University of Nevada, Reno. He specializes in historical archaeology with an emphasis on military archaeology, communications archaeology, and mining archaeology. He is a member of the Register of Professional Archaeologists, Society for American Archaeology, Society for Historical Archaeology, and the Alaska Anthropological Association. Erin has over ten years of archaeological experience in Alaska. She has experience managing Section 106 projects for Dept. of Defense cleanups, US Army Corp of Engineers Civil Works construction, and projects for private entities. She has designed and executed surveys on prehistoric, historic, and World War II-era sites, including several on National Historic Landmarks. Erin has also assisted clients and agencies with the recovery, analysis, and repatriation of human remains for The Native American Graves Protection and Repatriation Act repatriations. Erin specializes in bioarchaeology, paleopathology, and Aleutian Island cultures and their osteological adaptations. She is a member of the Register of Professional Archaeologists, Archaeological Institute of America, the American Association of Physical Anthropologists, and the Alaska Anthropological Association. 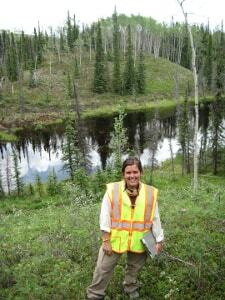 Lindsay has over ten years of archaeological experience with seven years Alaska experience. As General Manager, Lindsay develops budgets and proposals, communicates with clients and agencies, and oversees company administrative items. She provides planning, scheduling, logistics, and operational support for NLURA project archaeologists and researchers. Her expertise in the areas of planning and scheduling complex inter-related projects assures that NLURA project tasks are carried out in a timely, cost-effective manner that provides on time and on budget deliverables to clients. In addition to her operational role, Lindsay has statewide research and fieldwork experience, particularly with FERC and NEPA-driven archaeology projects in Interior Alaska and the North Slope of Alaska. As an archaeologist, she specializes in field survey strategies, archaeological excavation techniques, ceramic analysis, and material culture studies. She is a member of the Register of Professional Archaeologists, Society for American Archaeology, and the Alaska Anthropological Association.